A summer arrival for the 2019 Corolla hatchback. Updated May 25, 2018, to reflect prices and fuel economy ratings. 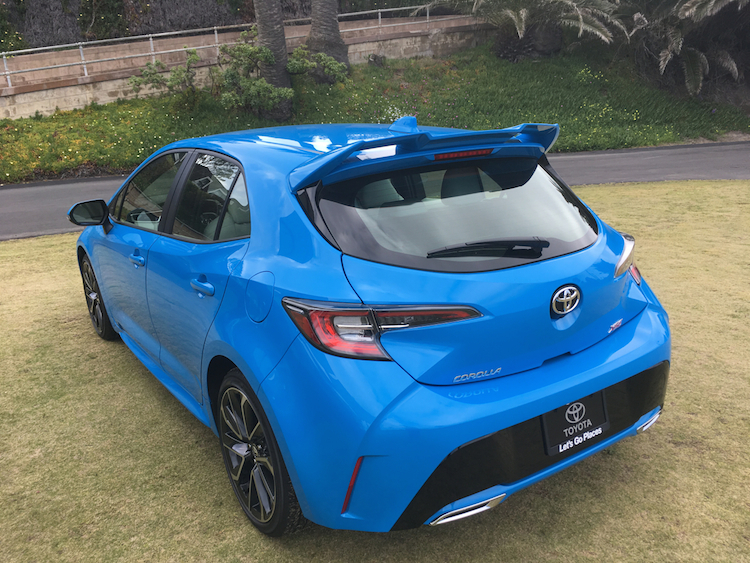 2019 Toyota Corolla Hatchback in Blue Flame guise. I’ve checked out new vehicles on showroom floors, at auto show exhibits and also upon various ballroom, convention center and theater stages. I’ve yet to find myself tired of the process, although some shows are overwhelming and that means missing a few releases or simply not having enough time to examine the latest offering. 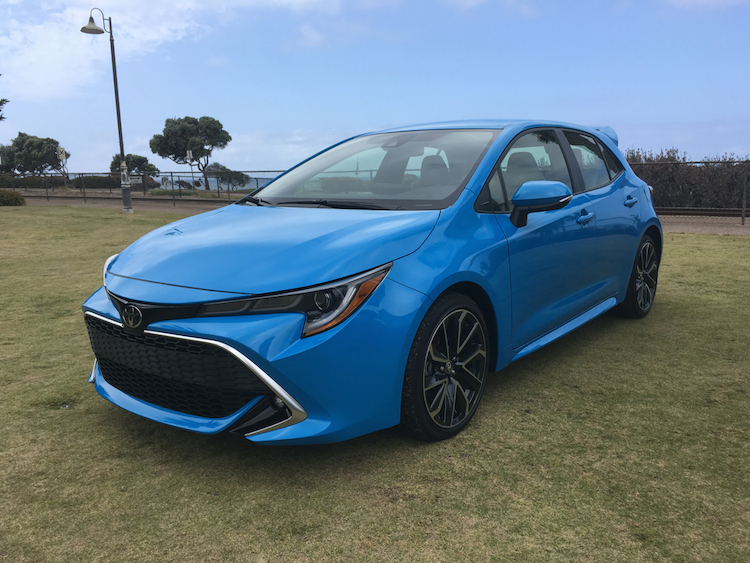 In early Spring, Toyota invited journalists to San Diego County, California, to preview and drive two new vehicles: 2019 editions of the Toyota Avalon and Corolla Hatchback. The first model headlined the invite, the second model was kept under wraps until just a week before our arrival. Some of us had wondered if the future Supra would finally make its debut, but not this time. 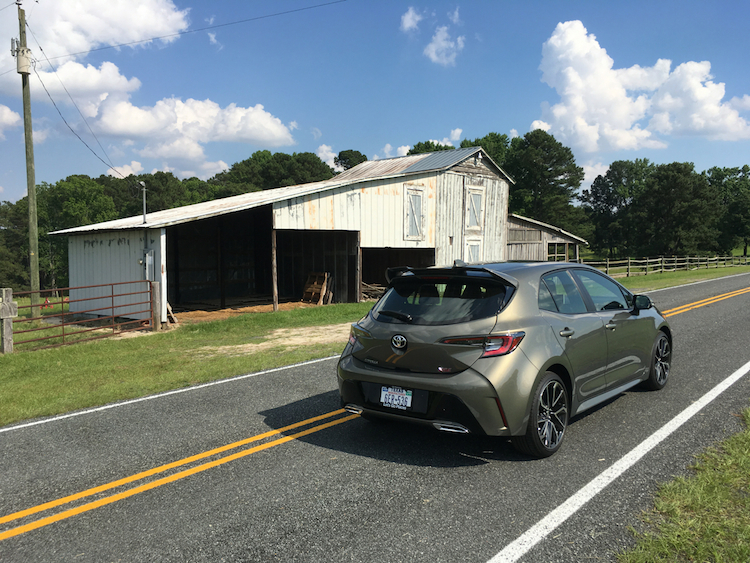 Instead, an all-new Corolla hatchback had its moment in the sun. And sunshine we had in abundance as our first glimpse of the 2019 Corolla Hatchback was outside, on the lawn in front of the former Delmar train station. Just steps from active train tracks and yards from paths leading to the beach, a Blue Flame four-door hatchback offered a fitting contrast to the historic surroundings. 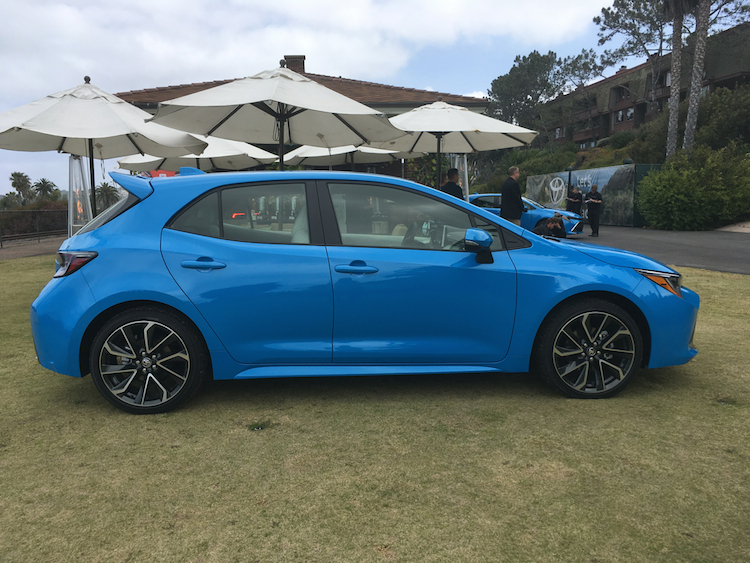 The 2019 Toyota Corolla Hatchback is not related to the current Toyota Corolla iM, a hatchback that got its start out at Scion before moving to Toyota. Scion, as you probably know, was decommissioned in 2016, with two models transitioned to Toyota and the remaining vehicles canceled. The new model is just that — new. It has no relationship with any current model, except for those based on the Toyota’s new global architecture. That architecture supports the current Prius, Camry, C-HR and the 2019 Avalon. Eventually, all new Toyota models will share a common platform. Thus, Toyota is in the middle of an important transition and the 2019 Corolla hatchback is its latest model. The starting price for the 2019 Corolla Hatchback is $20,910 (including a $920 destination charge) for the base SE model with the six-speed manual transmission. Other choices include the SE CVT ($22,010); XSE MT ($23,910) and XSE CVT ($25,010). Prices for select upgrades include $395 for the Blizzard Pearl (white) paint. 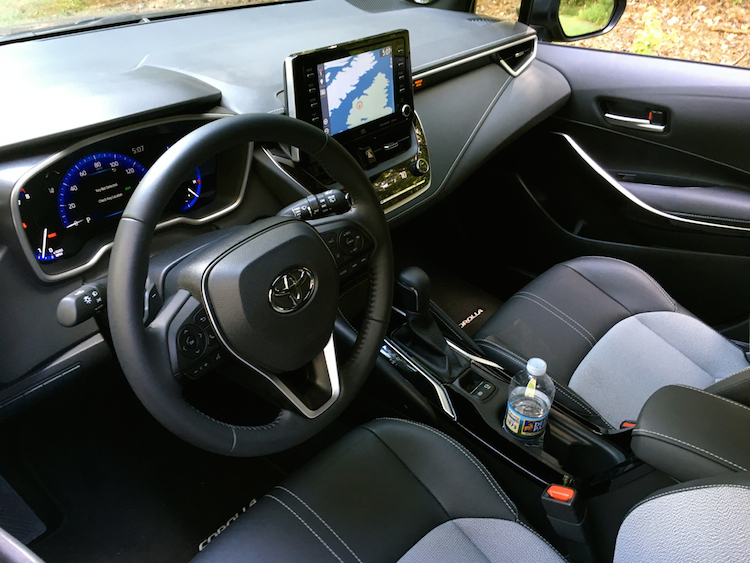 The SE Preferred Package ($1,400, Entune 3.0 Audio with app suite, Toyota Connected Services and blind spot monitor) and XSE Preferred Package ($1,600, Entune 3.0 Audio with app suite, an 8-speaker JBL audio system, Toyota Connected Services, navigation and Qi wireless charging) are the two package options. Separately, XSE shoppers can choose an adaptive lighting system ($415). If you like a sporty front fascia with a gaping grille, sleek headlamps and generous sculpting, the Corolla hatchback delivers. Further, beautiful character lines and sculpting dominate the profile, before pushing back to the rear fascia. It makes for one of the most beautiful themes we have seen on a Toyota product since, well, the 2018 Camry. It seems Toyota’s design studio has been unleashed, to provide vehicles that are just as handsome as the best models out there. That is not something we could say as recently as the Corolla iM and it is a direction we like. Scan the photos carefully and you can see for yourself. Standard equipment includes Bi-LED headlamps with automatic high beams, 16-inch aluminum wheels, LED fog lamps, aero stabilizing fins and a rear chrome diffuser. 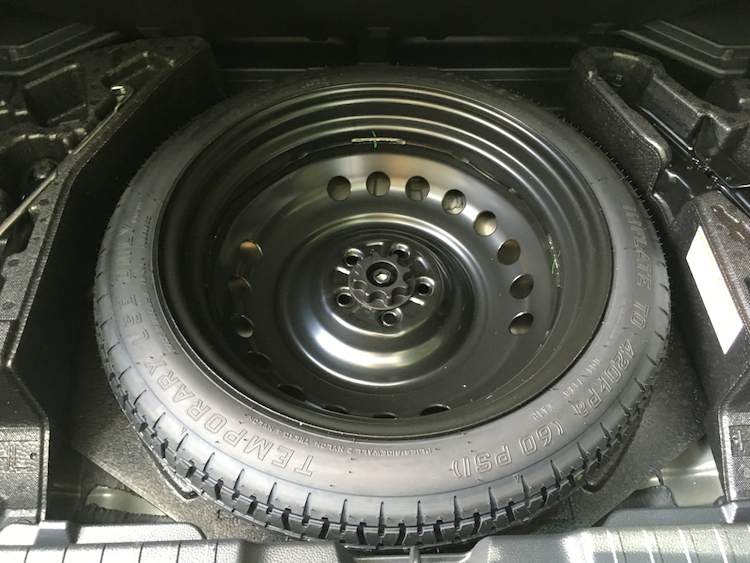 Available features include LED fog lamps, heated side mirrors and 18-inch aluminum wheels. 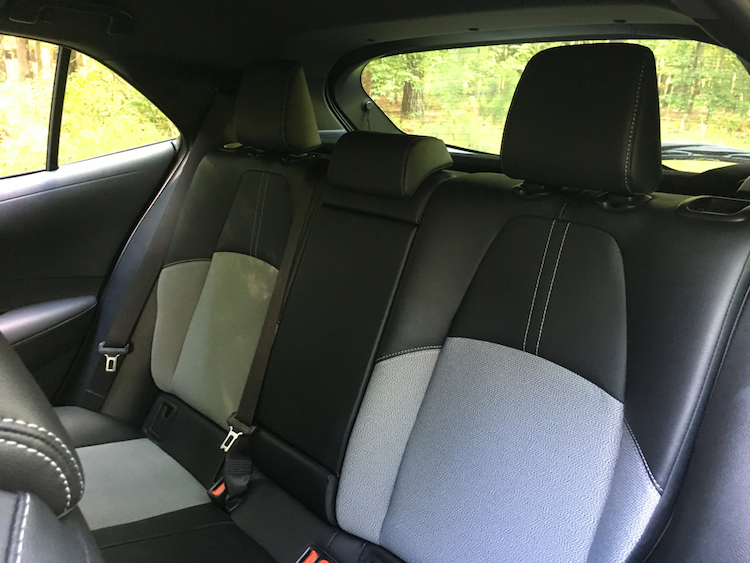 Toyota has always offered cabins with ordered interiors and superb fit and finish. Trouble is, they have not always been the most exciting. 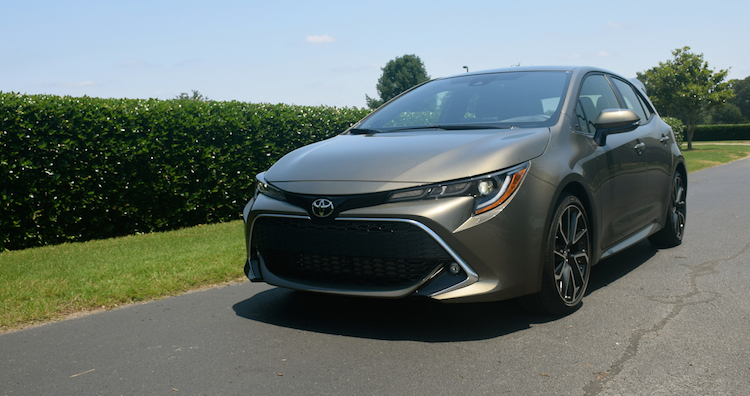 The 2018 Camry shows us how Toyota dazzles and the Corolla hatchback offers its own take on style. 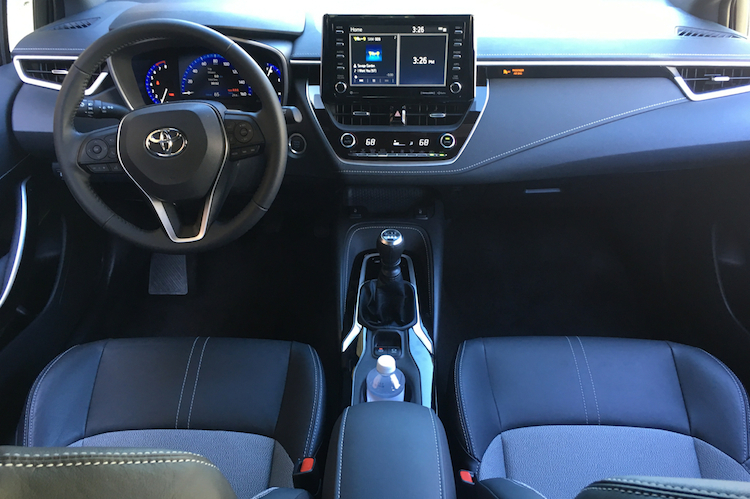 Regardless of the trim, you will find a layered dashboard with overlapping analog displays and a clean center console with the display fixed to the top, much like a tablet. The front seats are quite comfortable, better than what I have typically experienced in this segment. Sightlines are very good and the overall sporty feeling shines through. Standard features include power windows, power door locks, a tilt-and-telescopic steering column, automatic air conditioning and cloth seats. 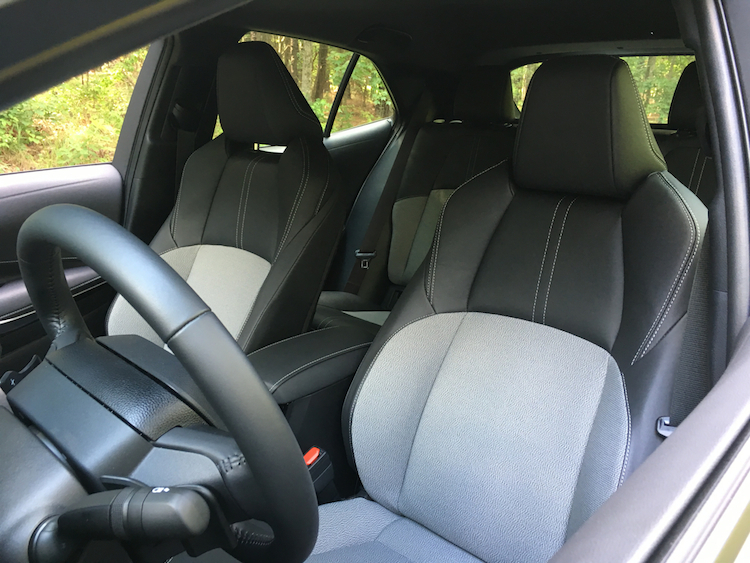 Choose the top trim and you will gain a power-operated driver’s seat, heated front seats and dual-zone climate control. Toyota is rocking the driver-assist safety equipment with all its models. On the Corolla hatchback, you will find the Toyota Safety Sense P (TSS-P) group, which includes automatic high beams, a pre-collision system with pedestrian detection, low light pedestrian detection, daytime cyclist protection, lane departure alert with steering assist, road sign assist and lane tracing assist. Blind spot monitoring is optional with the base trim, but included with the top trim. That tablet-like display on top of the center console measures 8 inches diagonally. It is part of Toyota’s Entune 3.0 audio package with six speakers, Bluetooth, an auxiliary audio port, USB ports and WiFi. You will also find Amazon Alexa, Siri Eyes Free and Apple CarPlay. Sorry, Android fans, but Android Auto is not ready yet. Toyota says that it has people embedded in Google and vice-versa to prepare Android — they want to ensure the proprietary information does not get into the wrong hands. Upgrades include satellite radio, HD Radio, navigation and an 8-speaker audio system. Let us stand and give Toyota a round of applause for keeping with a manual transmission. With manufacturers routinely ditching manual gearboxes because of low demand, Toyota is having none of that. 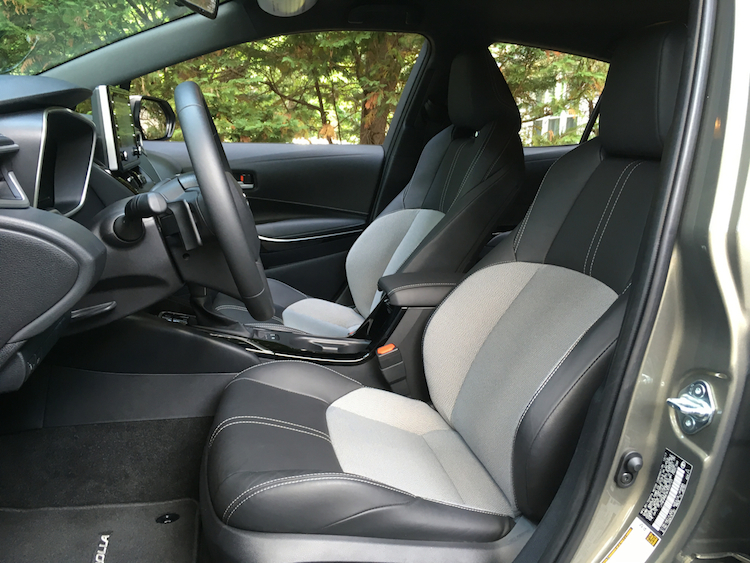 Importantly, the manual gearbox is available with both Corolla hatchback trims. And it is no long throw stick either. Indeed, while it may not shift as fast as a TREMEC, it does make quick work of each gear. Also importantly, rev-shift match downshift is present. This is a significant feature for anyone who places an emphasis on driving dynamics. 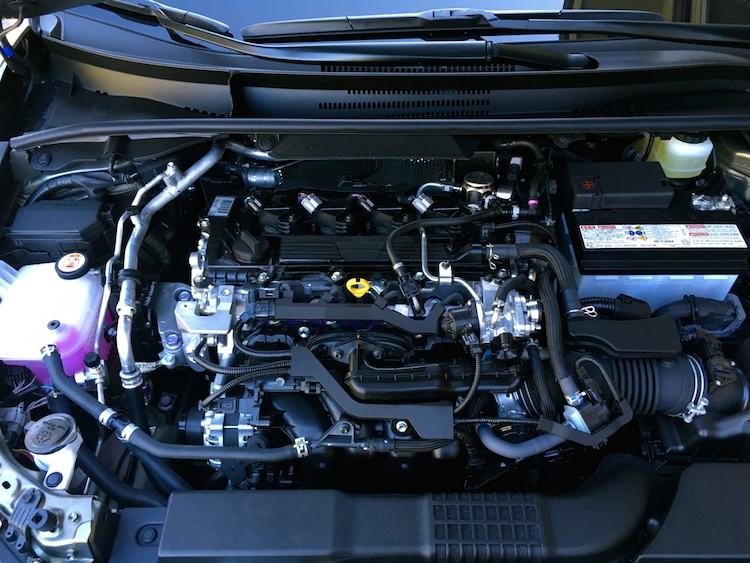 Under the hood, a 2.0-liter, four-cylinder engine powers the Corolla hatchback. 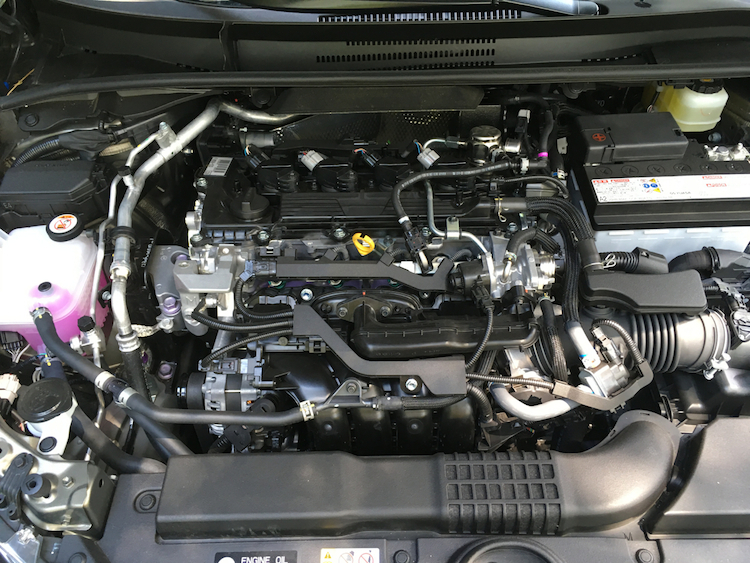 We first saw this engine at work in the Toyota C-HR and now it motivates the new Corolla. Fortunately, the performance numbers are a bit more robust with the hatchback. Indeed, this model makes 168 horsepower and 151 pound-feet of torque. On the other hand, Toyota’s subcompact crossover delivers 144 horsepower and 139 pound-feet of torque. Both sets of numbers are below what we would like, but we think higher output versions of these two vehicles are in the offing. 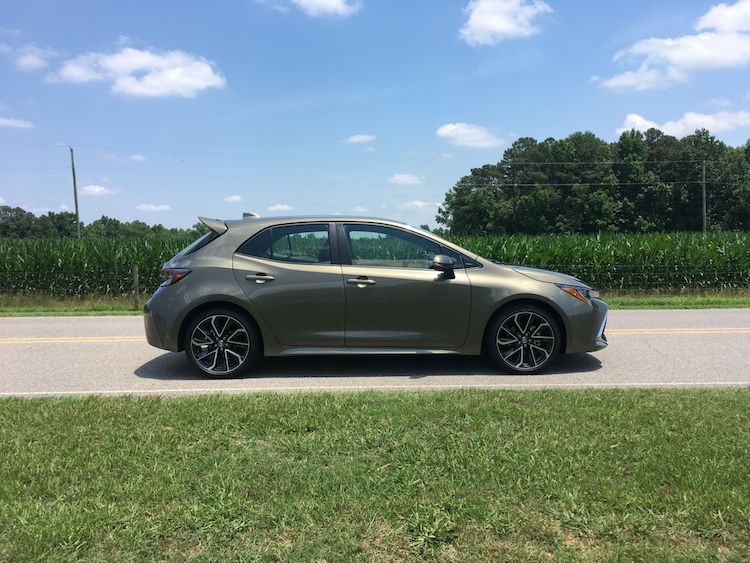 The Corolla hatchback offers decent step-off acceleration and good pick up as you move through the gears. Definitely, the manual is much more fun to work with. You may find yourself holding each gear as long as you can before upshifting, testing what this hatchback can do. Expect responsive steering, weighted handling and firm braking. This hatchback hangs well on twisty roads and does its best to carve corners. All that said, we could not help but think about what might have been. 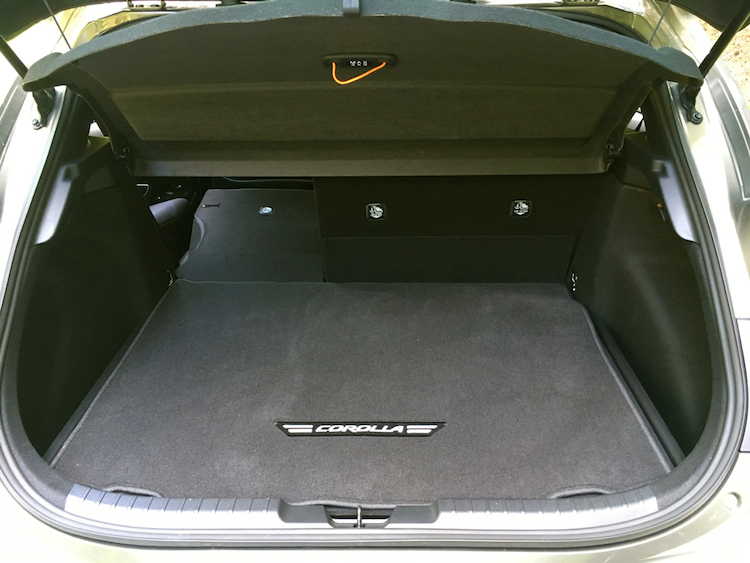 Specifically, just how well this new Corolla would perform with more power under the hood. Again, we think this is only the first step from Toyota, with a hot hatchback in its future. We can wait. But not for long! So, there you have it. 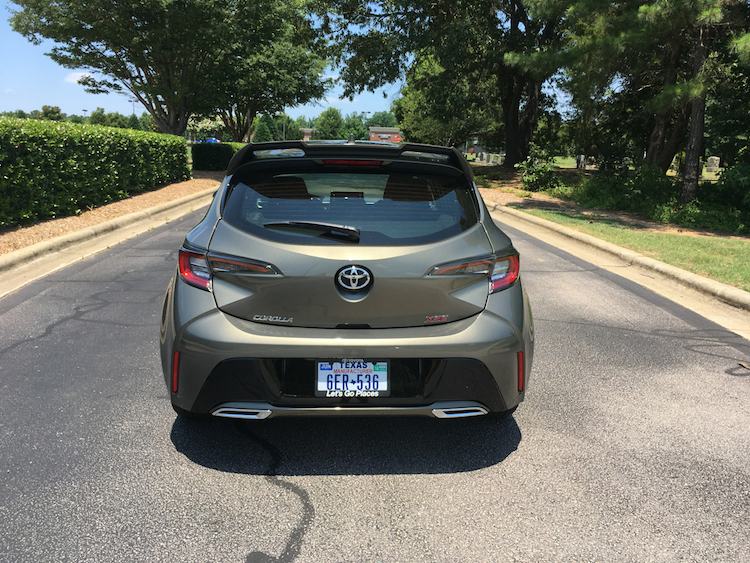 If design, quality, reliability and amenities are any indication, the 2019 Corolla hatchback has the potential to win new customers. That makes for a great start for a new model, but Toyota must not stop there. After all, the car market is shrinking. Also, the few strong players in this segment are certain to dominate. That said, an opening for new customers has shown its face as competitor Ford says it will soon stop offering its subcompact Fiesta and compact Focus models in North America. Opportunity knocks; Toyota has the products in place to respond.